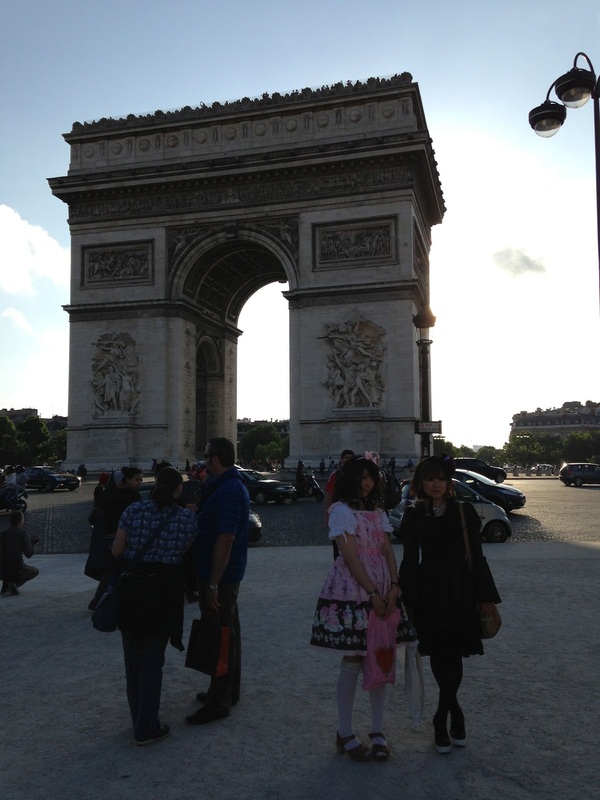 Made it to Paris! After a 4 hour nap, I decided to check out the Eiffel Tower. While walking there, I saw that the Wimbledon Women's singles quarterfinal match was on at the Palais De Chaillot, so I watched that and enjoyed the evening. I was absolutely starving, so while strolling through Champs Elysees, I stopped for a cheese baguette and a hot chocolate. My first and only meal of the day. Maybe I will loose a little weight on this journey, LOL. 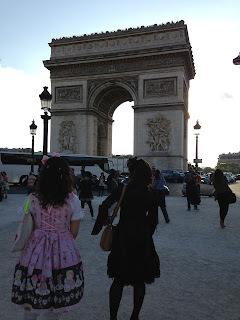 While walking toward the Arc de Triumph, I came across some Harajuku girls. So, I had to get some photos of them. They seriously looked like walking dolls in their petticoats. Hilarious. 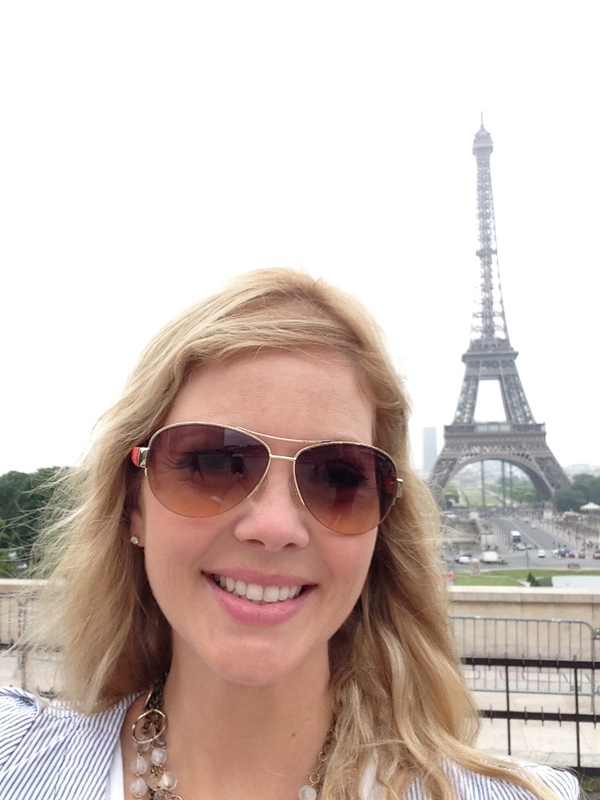 And since I am no strangers to selfies...here's one by the Eiffel Tower. Nice hair, huh? I forgot to switch my travel hair dryer to the European setting and fried it. All the women here wear black blazers every day. Super cute stylish ones...with jeans, with dresses, on dates, to work....everywhere. Scarfs too. Men and women. Its summer and they are all wearing scarfs. Also, my French is hilarious. I think people actually enjoy how I butcher their language. Sabrina, I have mastered how to order water (ju vous dre low - I have no idea how to actually spell it, or read French, so I will spell everything phonetically from here on out) and I think doormen think I'm cute when I say, (bonjour misseur, sher ner parl pah fransei, parlay vous english si vous plai). They have been helpful so far.